Where did we come from? What is a brassard? Where did the badge we all wear come from? Who wore the first blue berets? Find out here. Veterans from all eras have generously shared their stories, their pictures, and their lives with us. You won't want to miss the timeless pictures from the last 70 years. Defensor Fortis - Defenders of the Force, from Vietnam, Korea, Iraq, Afghanistan, and more. See America's defense in action. © 2015. 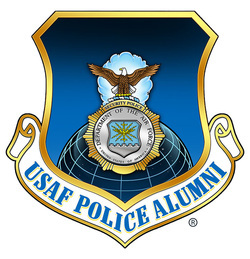 USAF Police Alumni Association (R). All rights reserved. Mission Statement: The USAF Police Alumni Association is dedicated to the development and creation of a virtual USAF Police Museum, Memorial and Alumni Association. Our mission is to honor the service and sacrifice of all USAF Police Veterans, past, present and future.